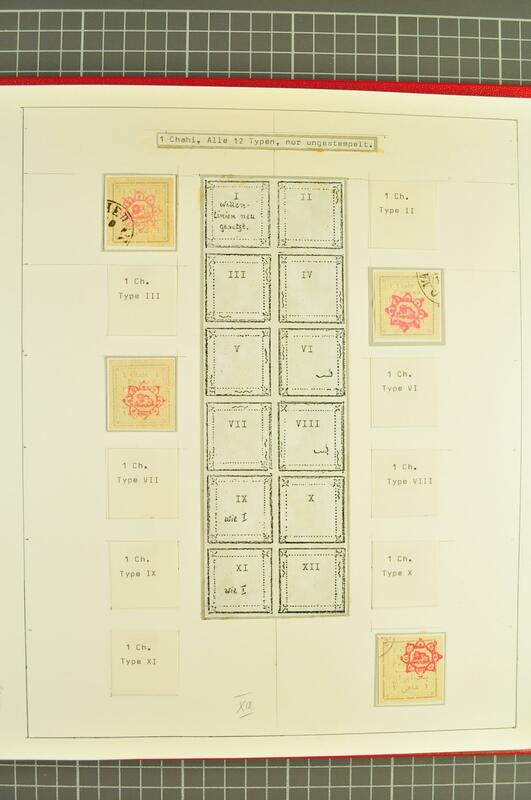 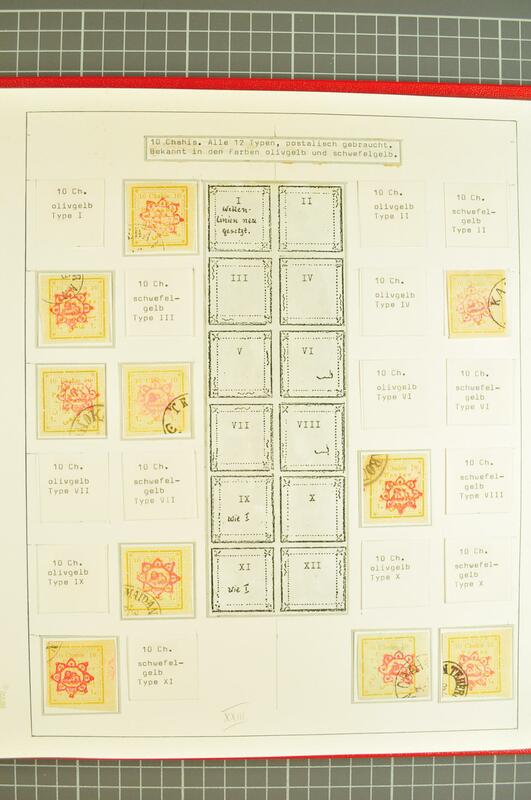 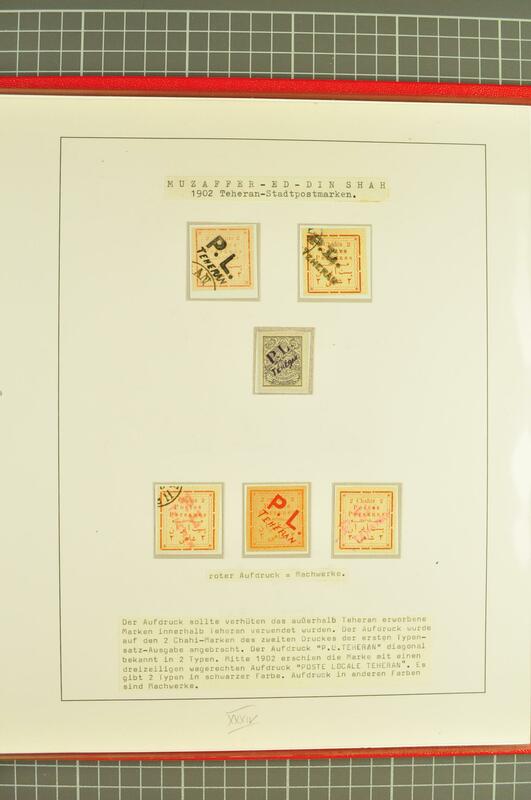 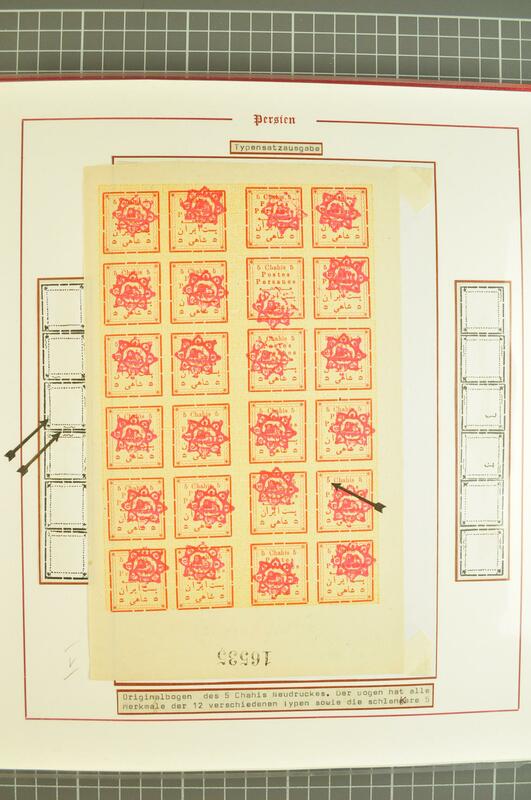 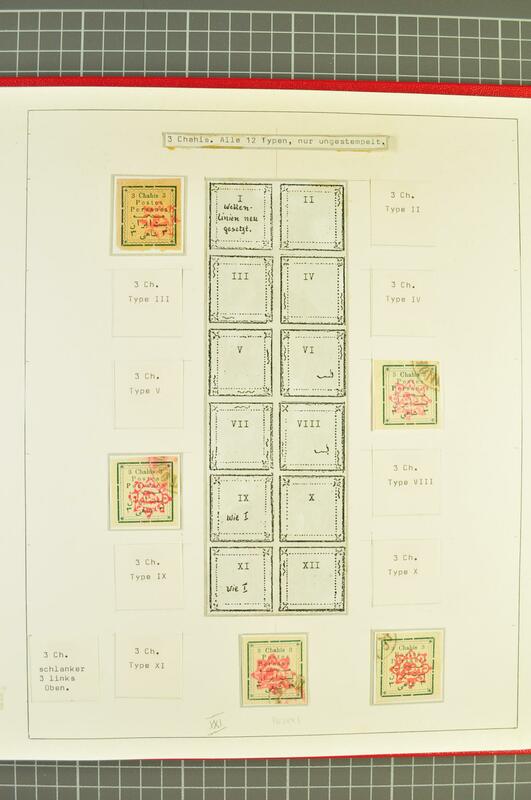 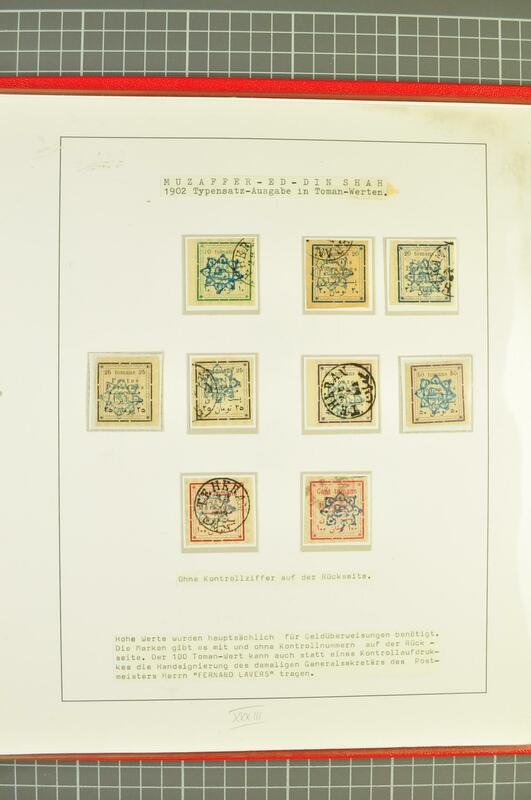 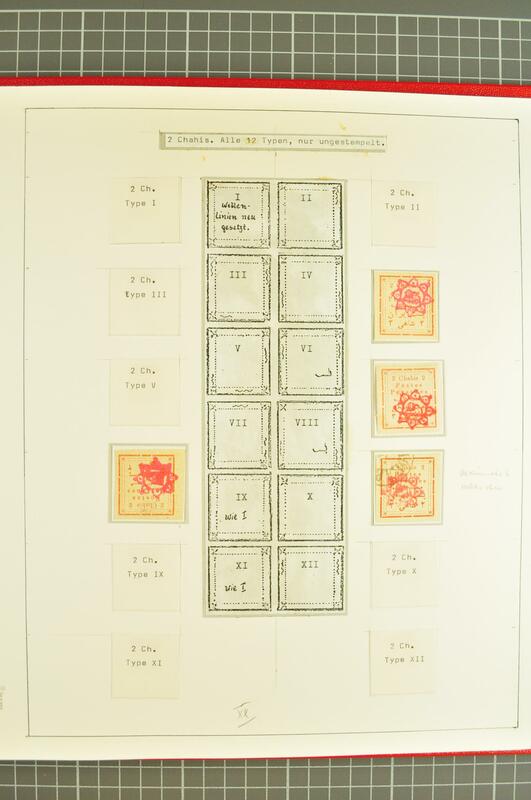 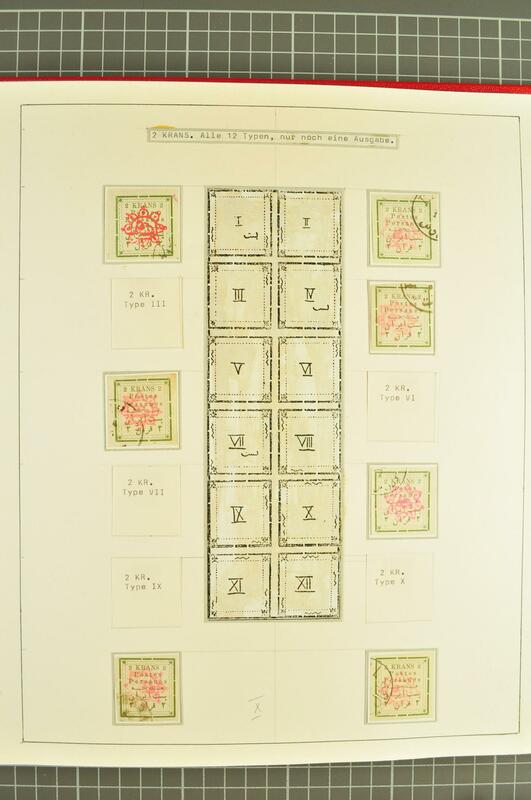 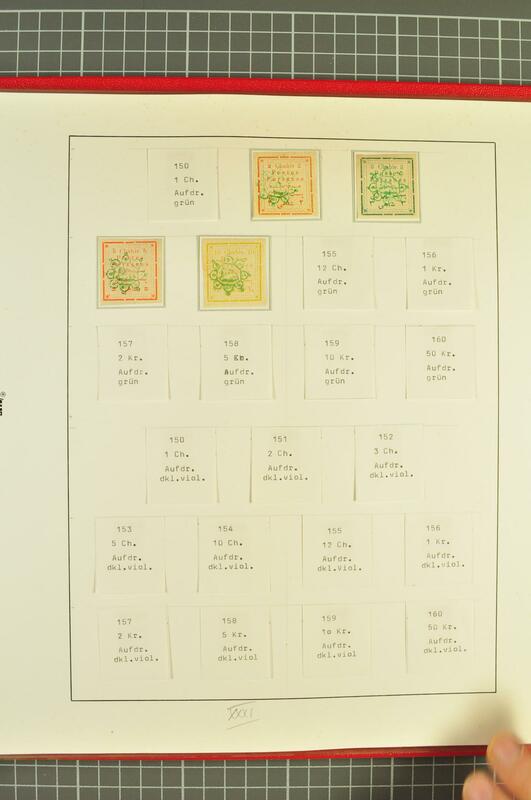 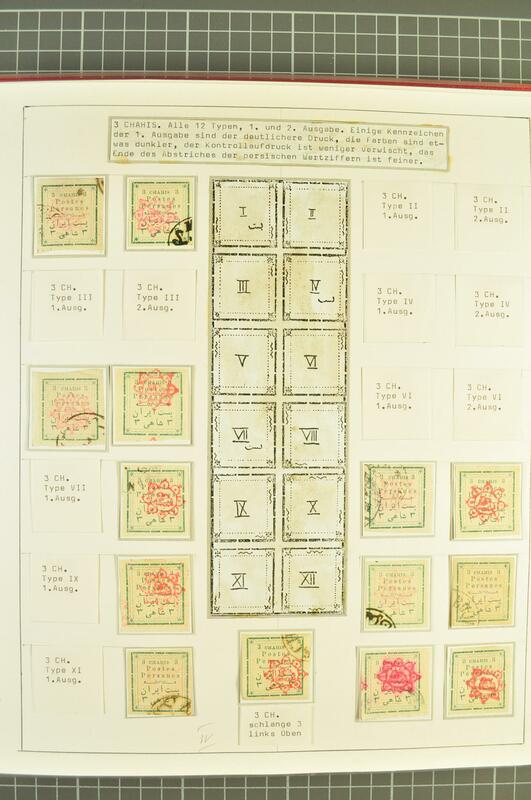 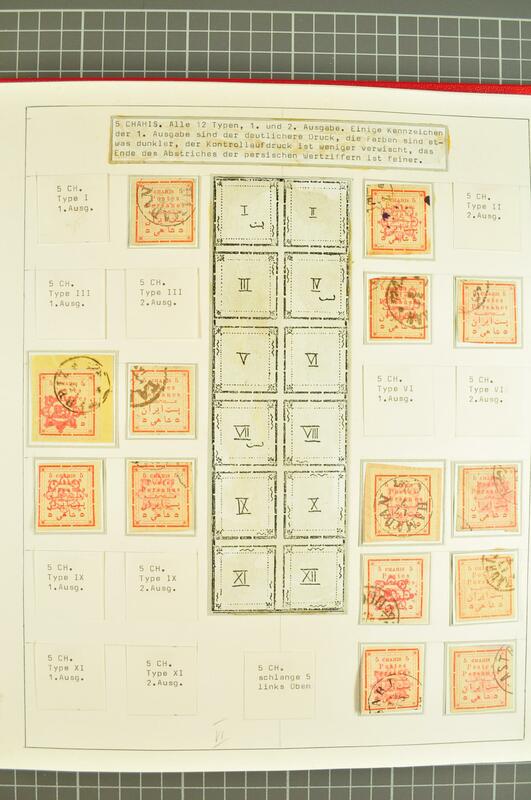 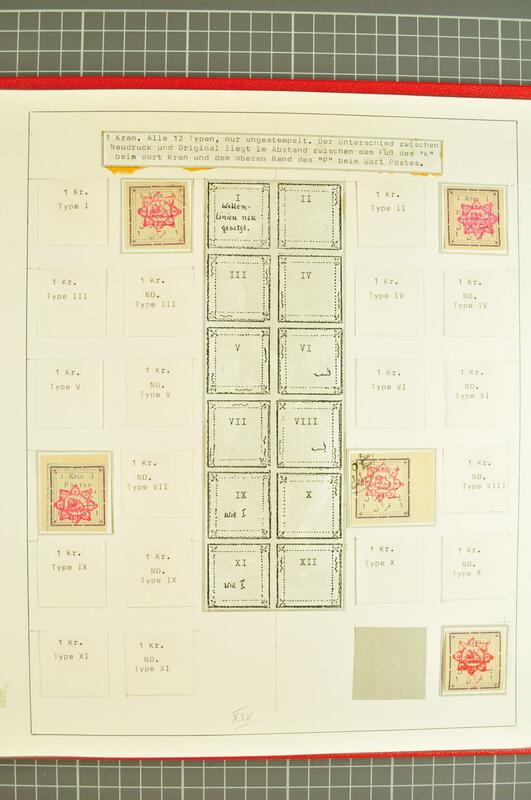 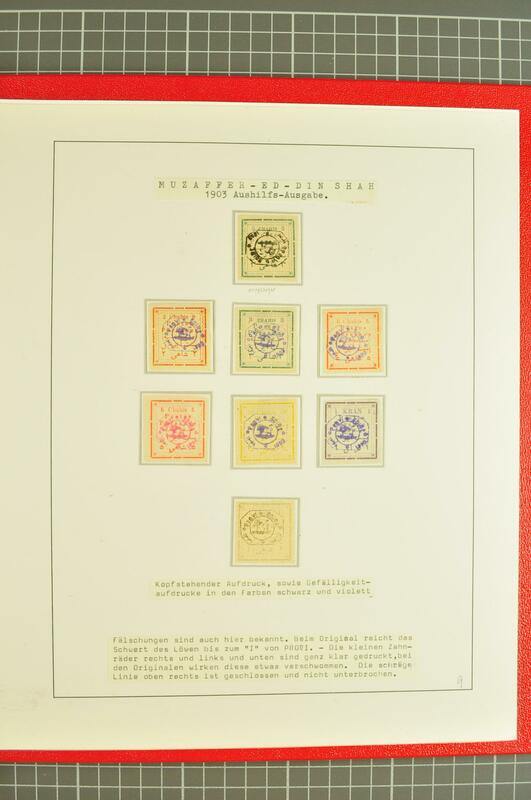 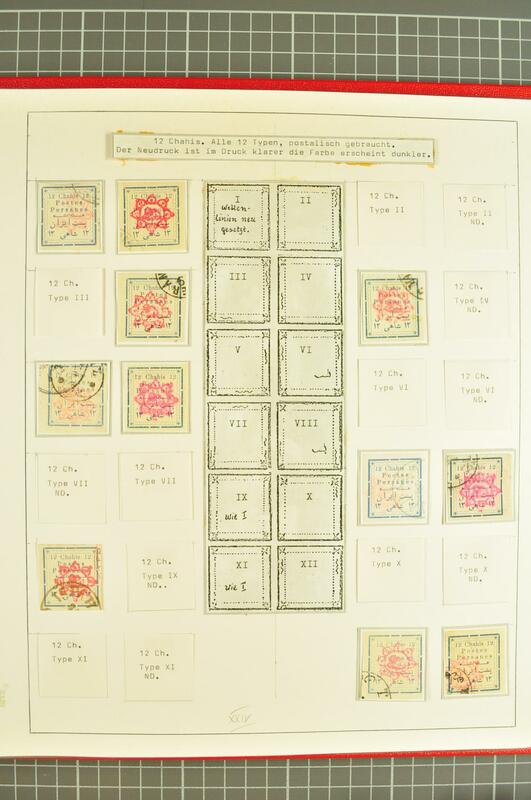 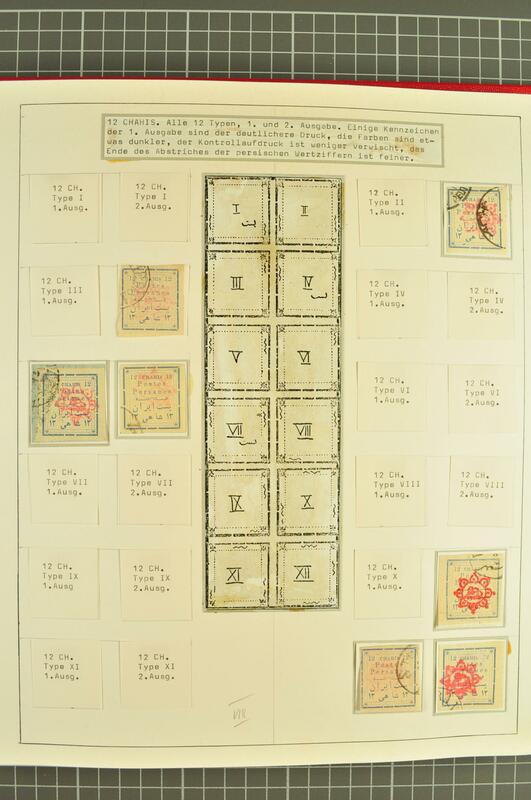 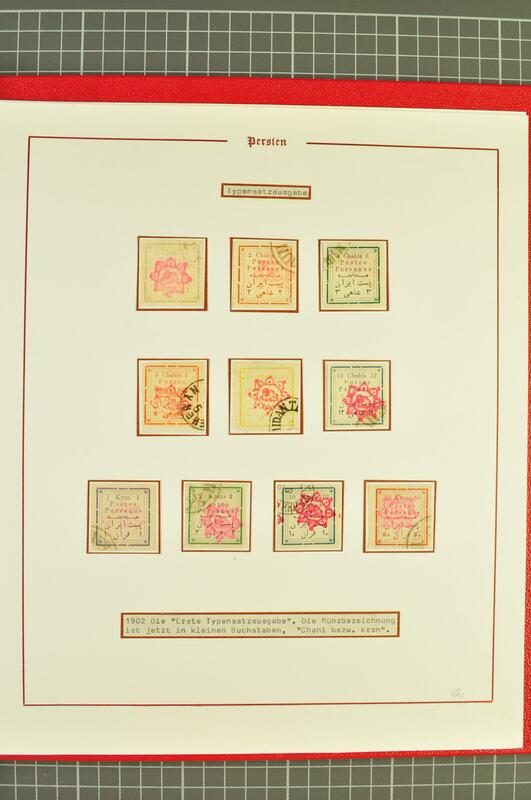 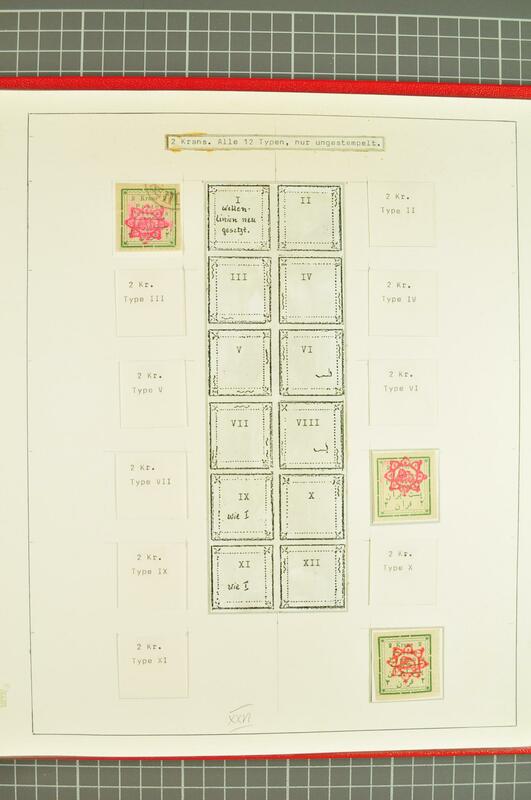 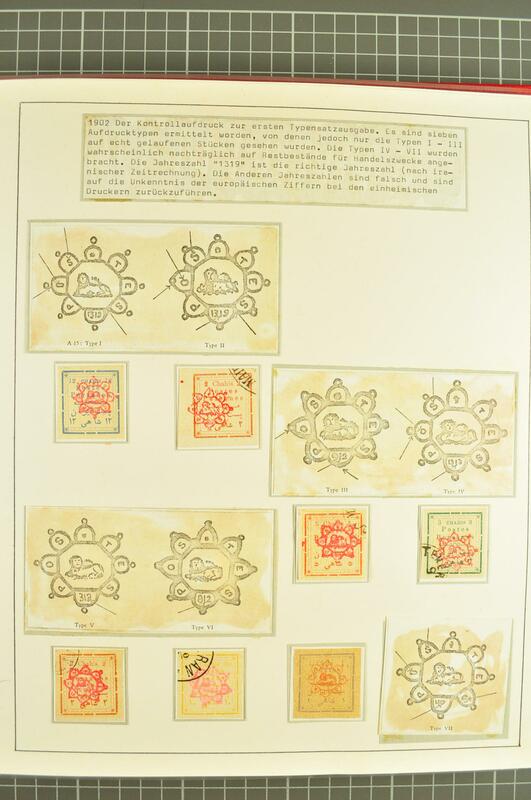 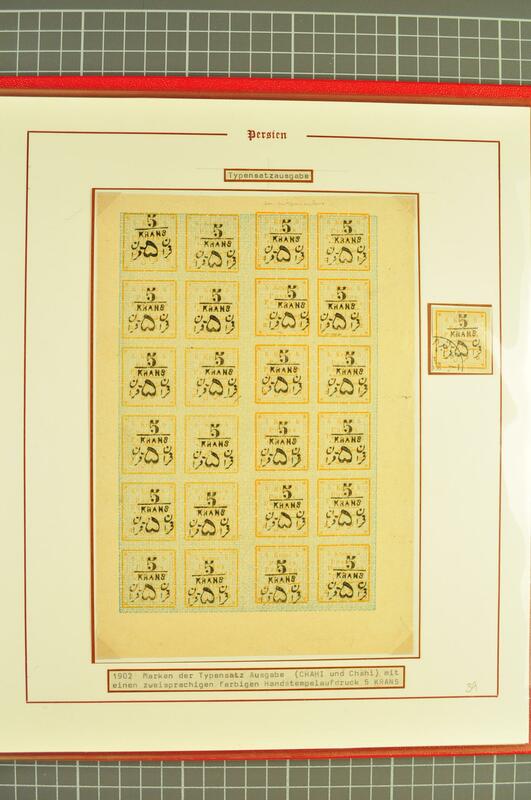 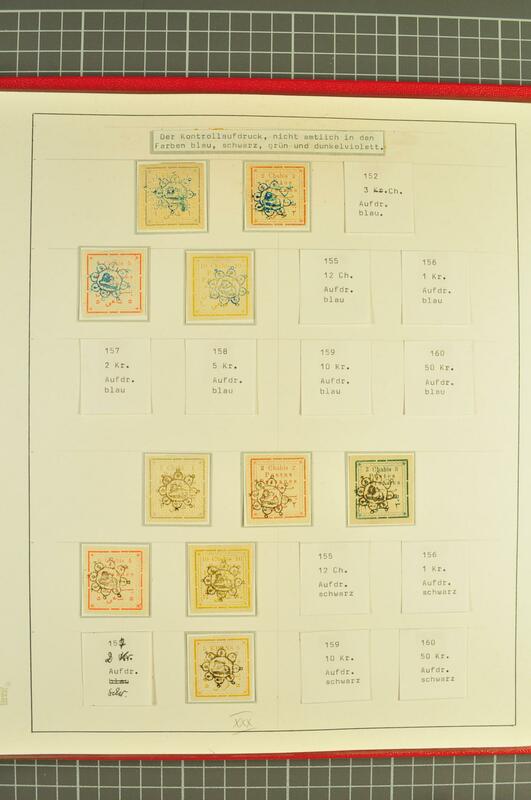 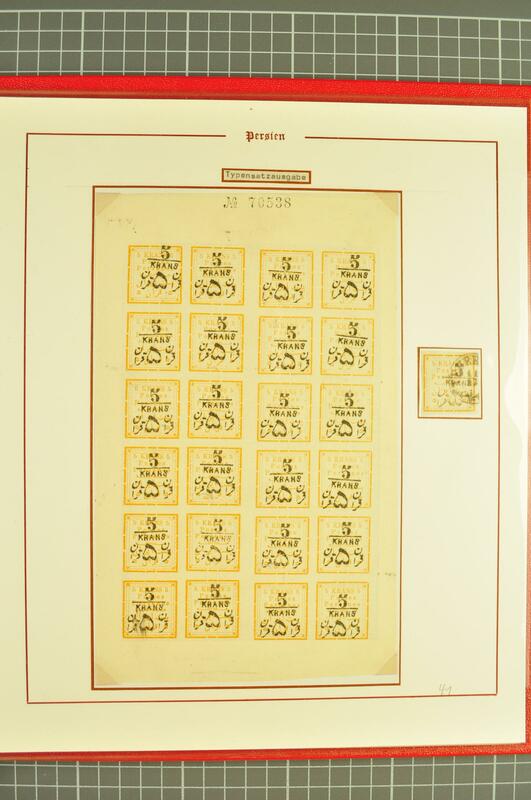 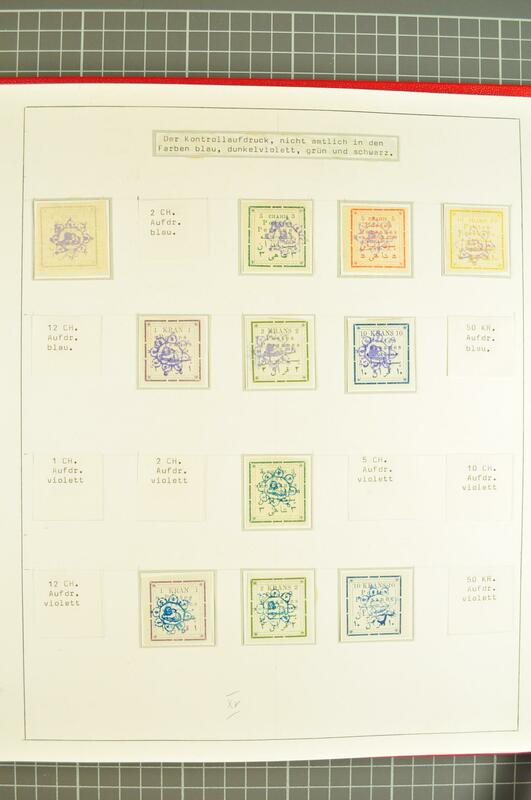 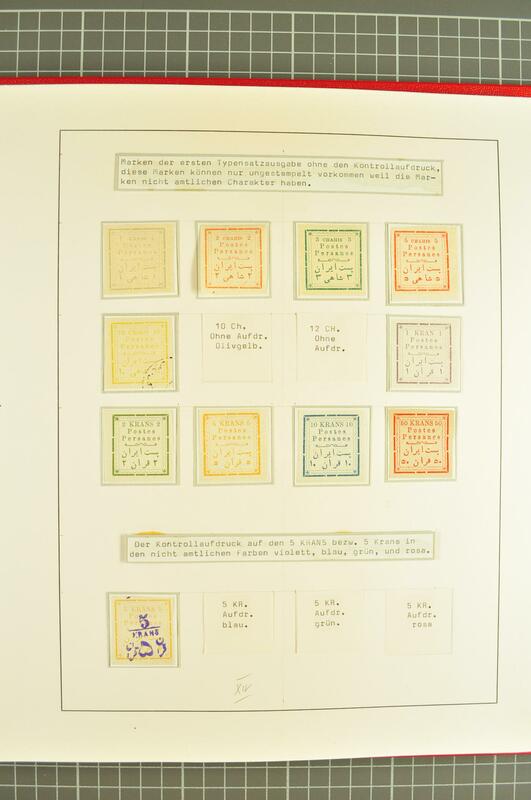 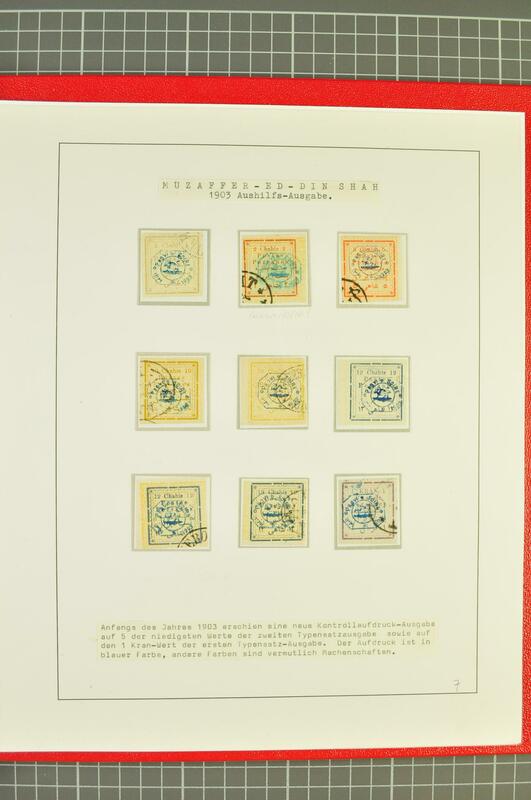 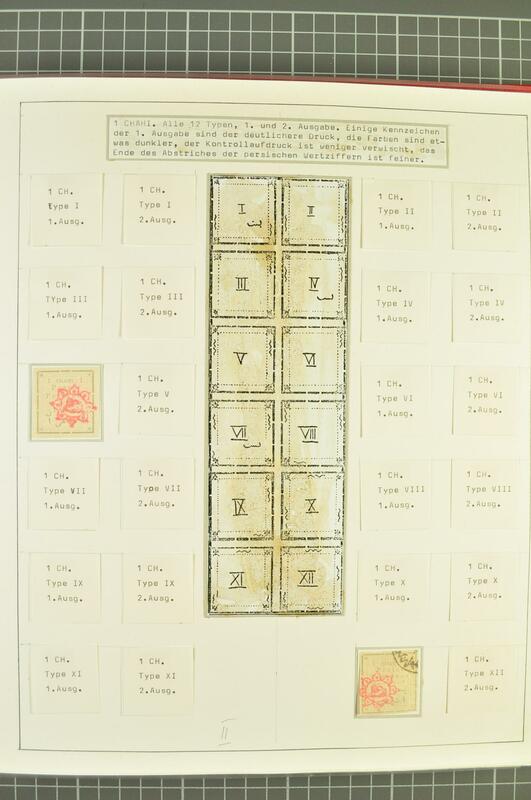 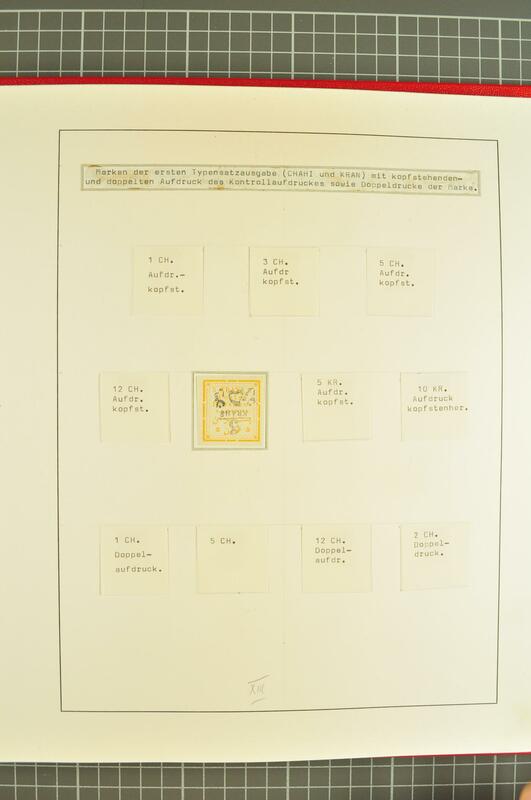 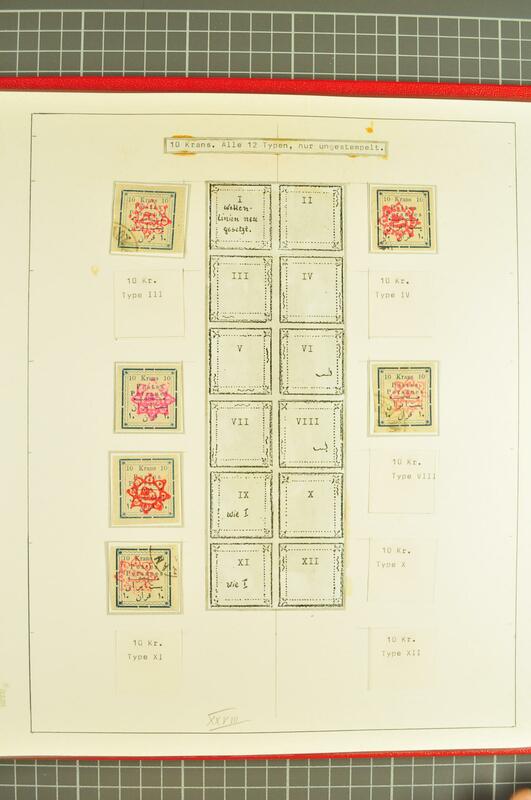 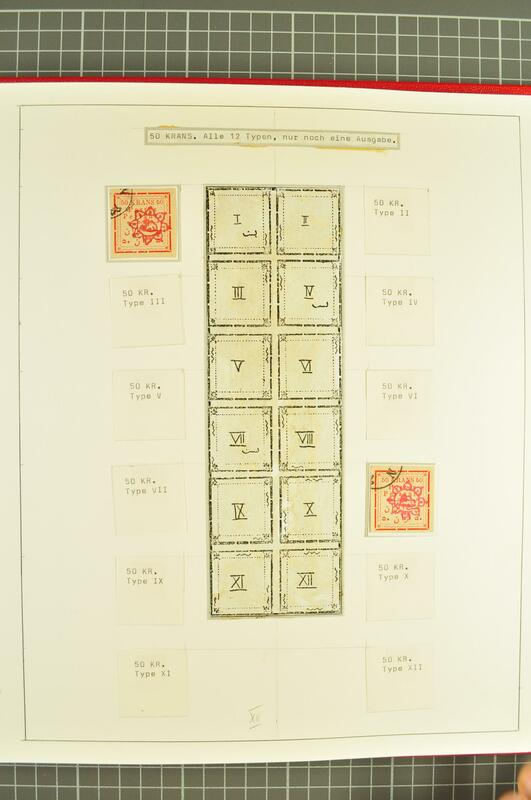 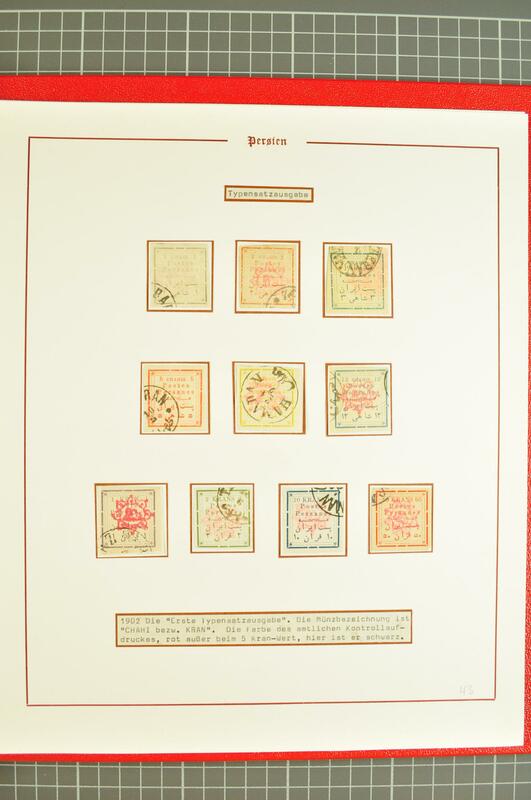 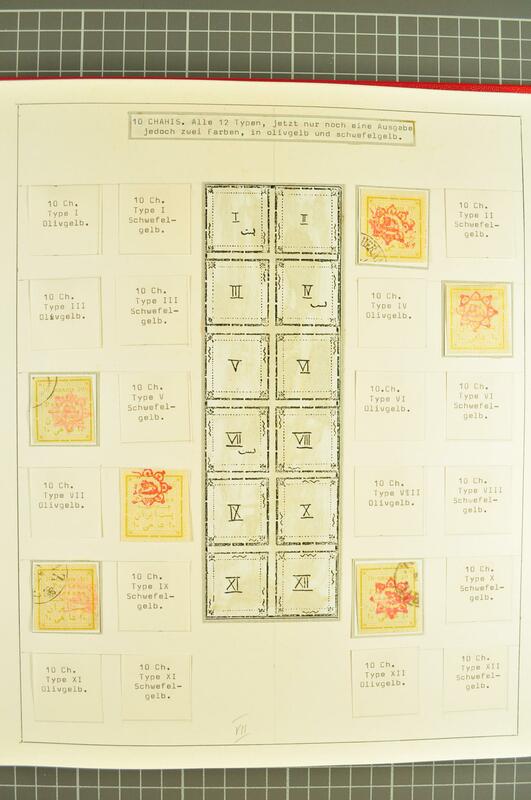 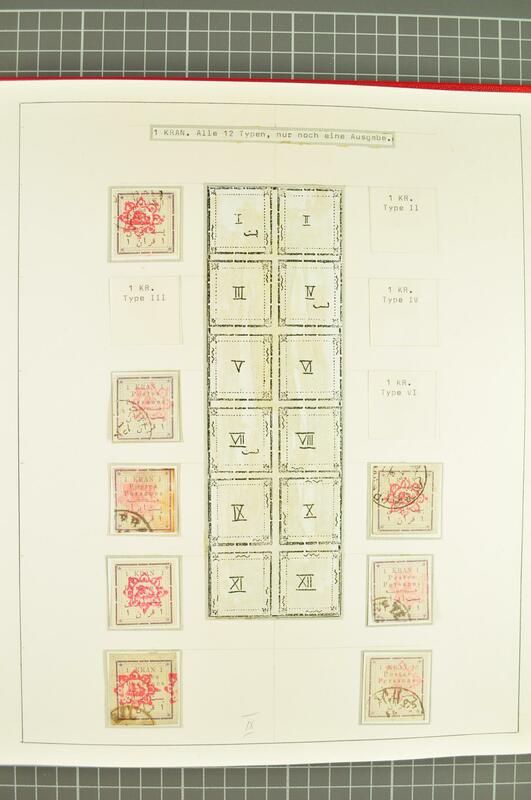 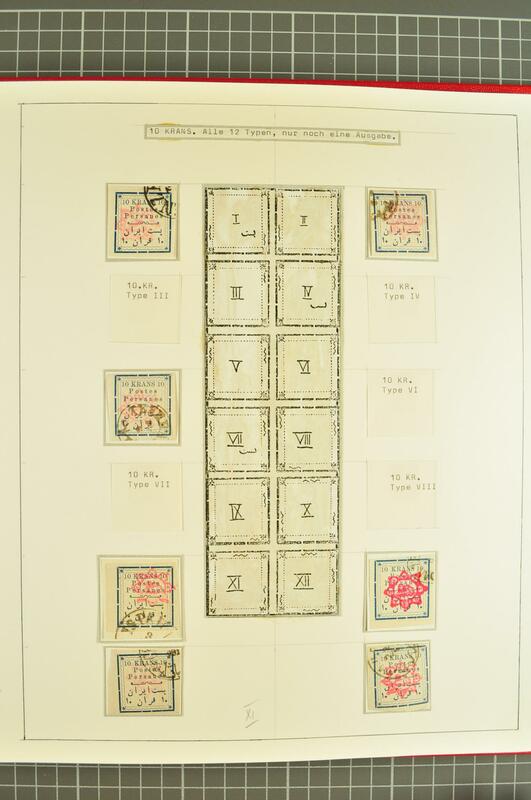 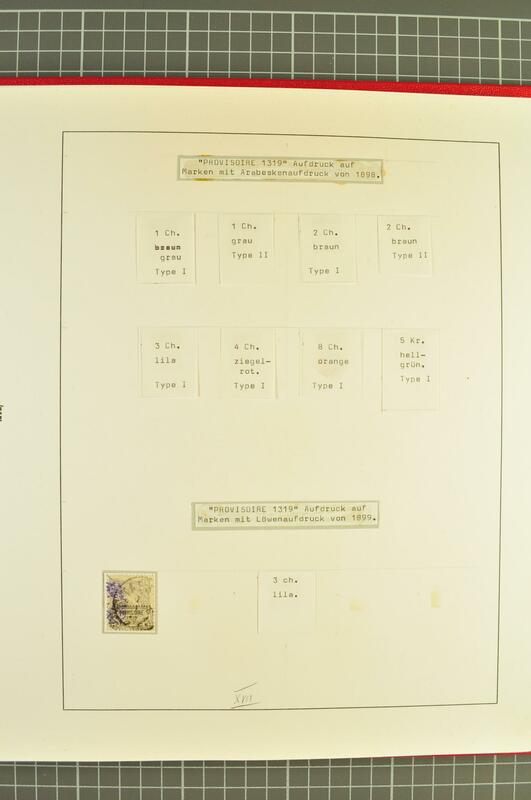 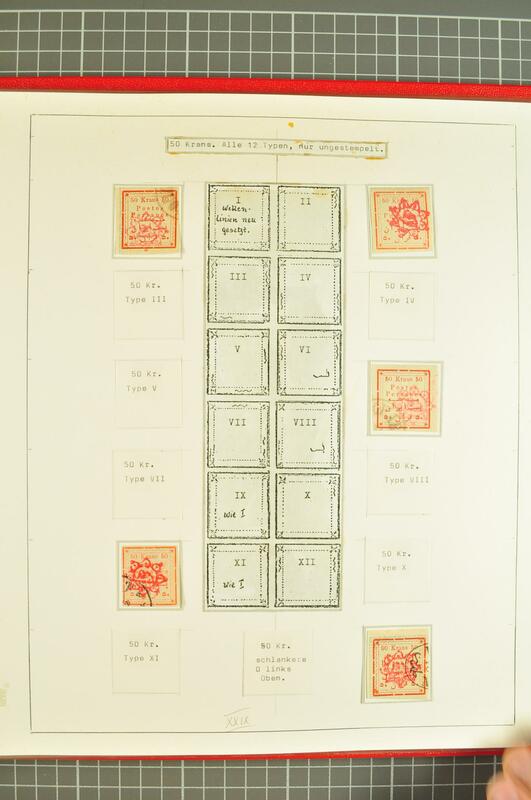 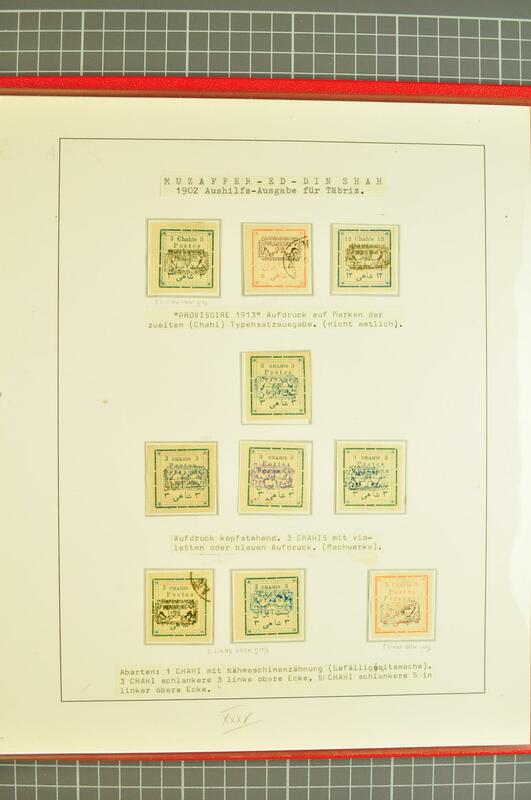 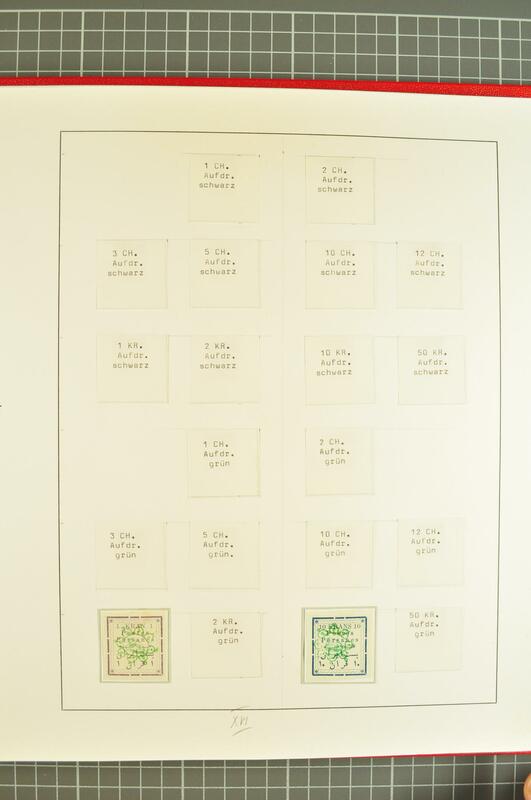 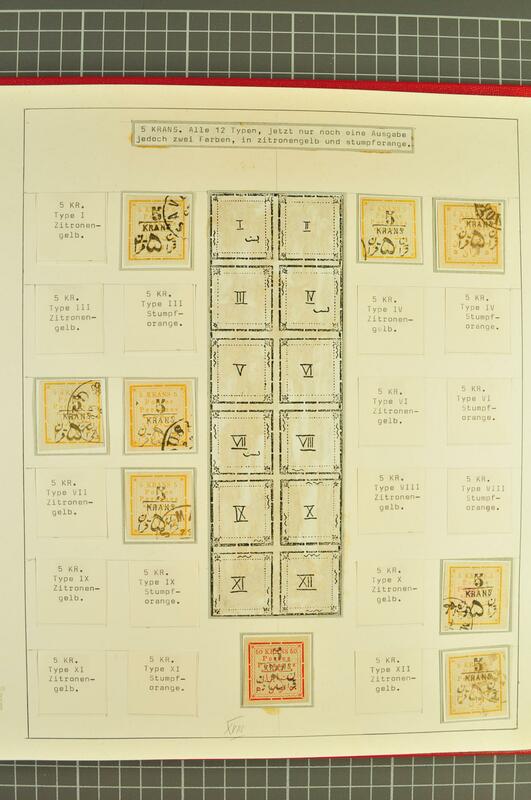 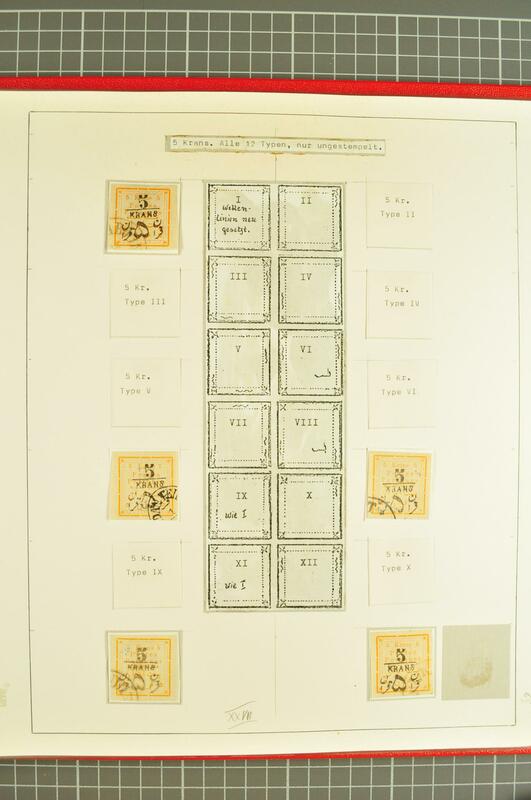 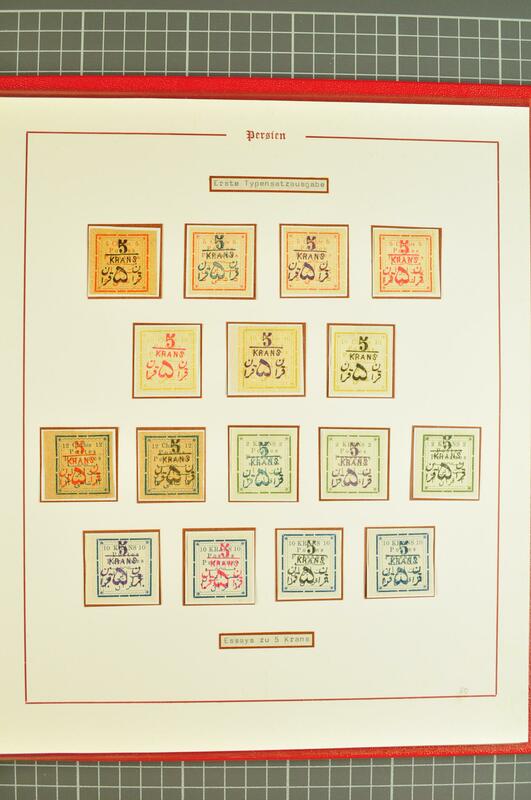 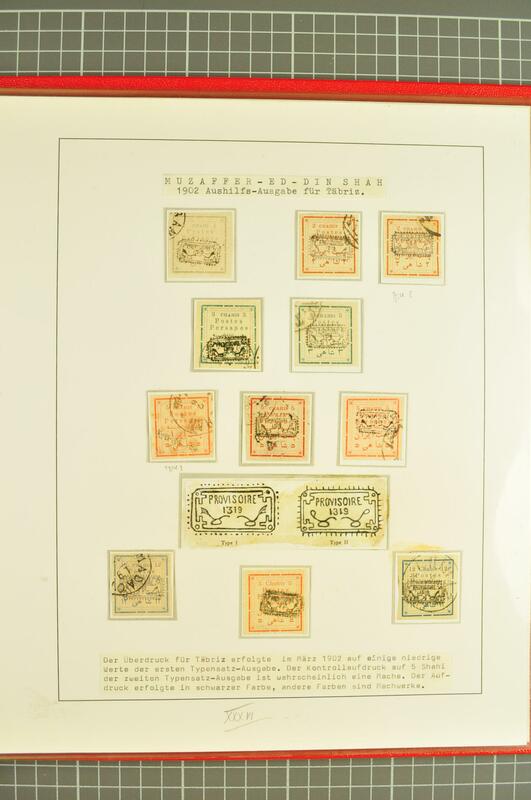 1902/03: Specialised collection of the provisional imperforate issues, handstamped in rose-red, with plating study utilising unused and used examples, reprint sheet of twenty-four of the 5 ch. 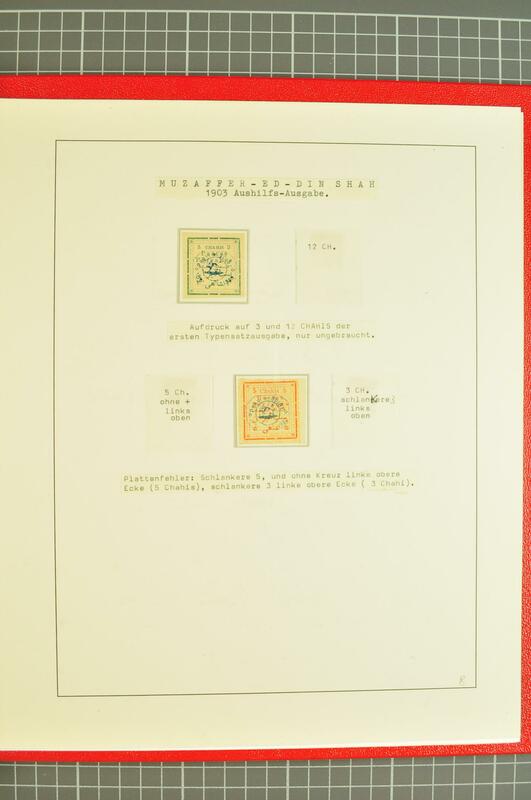 and a 1902 5 kr. 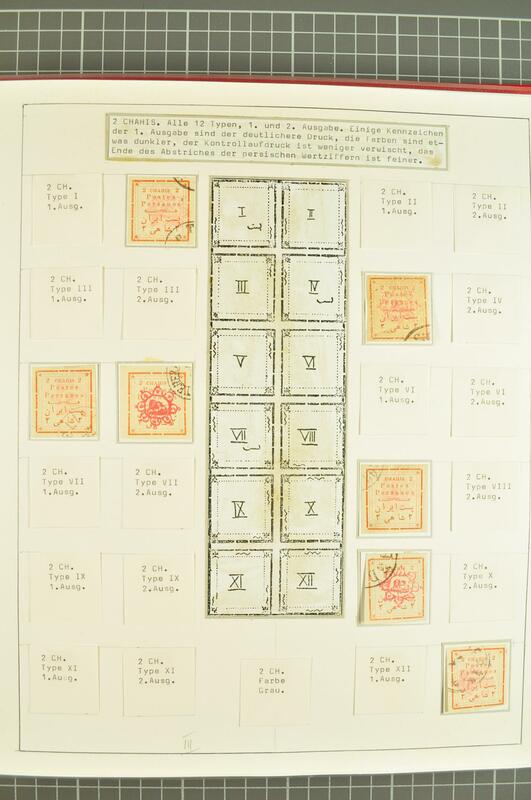 on 5 kr. 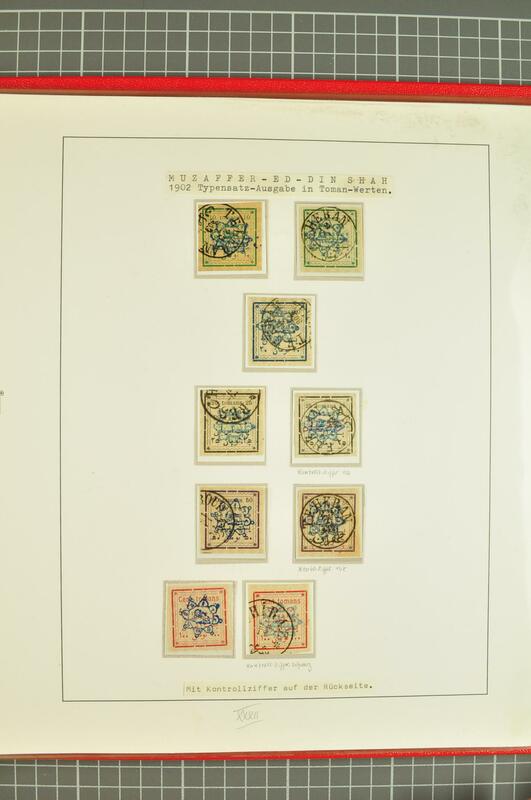 ochre and blue sheet of twenty four (not guaranteed), the benefit of the collection in the attractely arranged plating study. 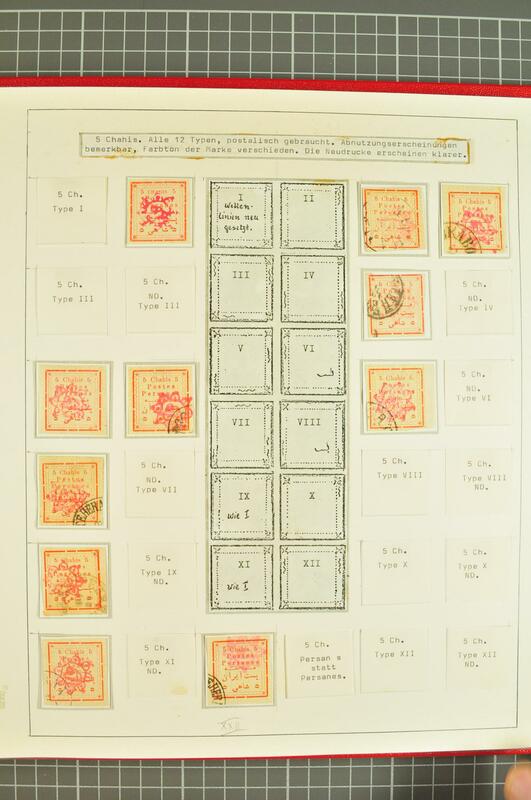 An interesting lot (Mi 150-184).